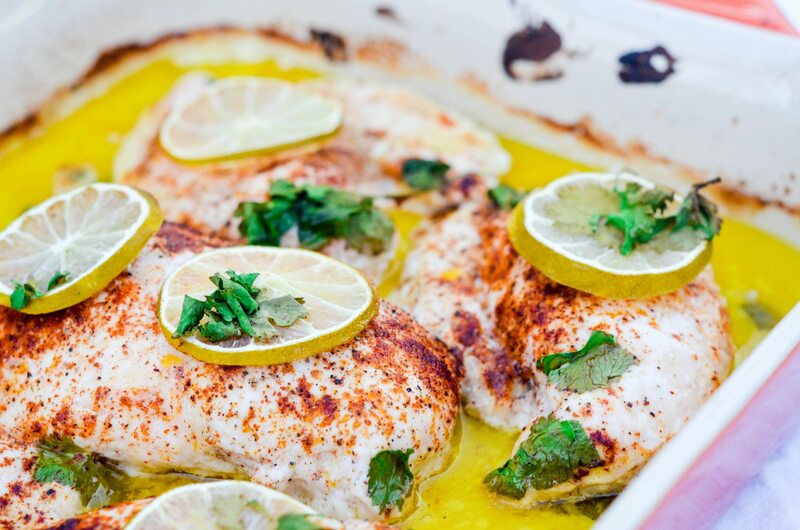 Place the chicken breasts in a baking dish, and pour over the coconut cream, and olive oil. Sprinkle with some sea salt and pepper, as well as the chili powder. Place the lime slices on top of the chicken breasts, and top everything with the chopped cilantro. Bake for about 20-30 minutes, until the breasts are cooked through.